With not long to go until my third child is born, it’s all coming back to me… Yes those sleepless nights. You know, the precious couple of hours sleep and then the need to feed, so you get up, fumble for the light (waking partner up at the same time), get the baby awake and then try to stay awake while bub feeds… and then it starts all over again! So I am particularly grateful to the reader who alerted Babyology to this remarkable invention for nursing mums. 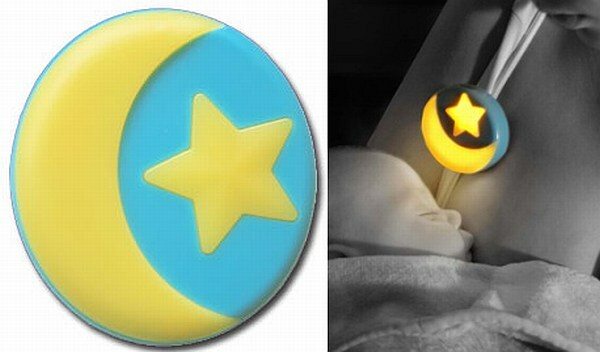 The Nighty Night Nursing light is a simple yet remarkably innovative device to help those night-time feeds. It’s a small light that clips onto your clothing and, at the touch of a button, gives off just enough glow to enable you to see that baby is correctly latched on and feeding correctly. It also means your little one won’t think it’s full daylight every time you nurse. There’s even an adjustable timer which you can set for however long you want baby to feed, plus an optional vibrating alarm to wake you if you nod off. A really great idea, designed by a mum of course! Thank you to Babyology reader Danielle Blake who came across this when she moved from Canberra to Canada. The Nighty Night Nursing Light costs US$19.99 plus shipping.